Changes a single powerpoint into a double. Fits any standard wall socket. 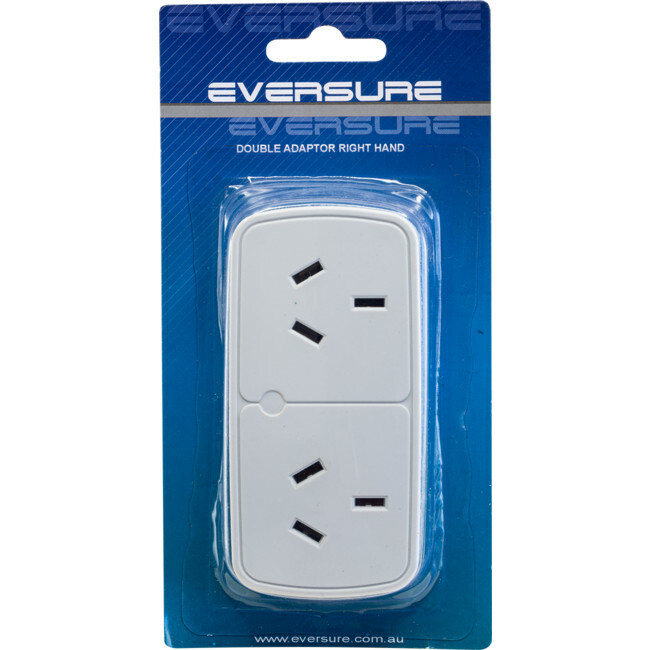 Fit neatly against the wall and hold both plugs perpendicular to the wall surface – so they don’t slip out!